The high mountain region of the Andes sends warm regards to your home, along with Lita llama, the playmate for your child! 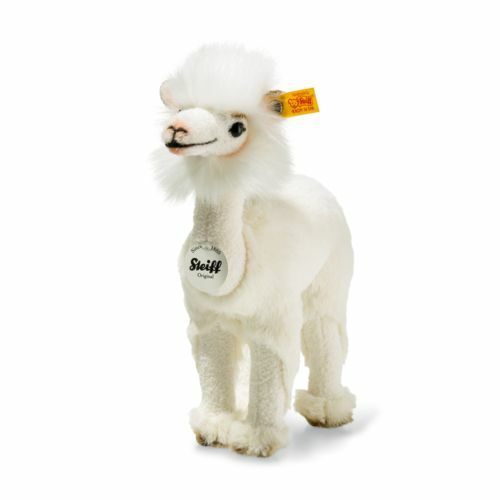 Lita llama is 24 cm tall and has a cream-coloured coat made of soft and cuddly plush material – just as soft and thick as it is in her natural environment. Lita also has wire in her legs that can be bent to get her to jump and run - literally - or to lie down and await the return of her little owner.